When the first Corvette was introduced in 1953, it looked much faster than it was. But the staid image of Chevrolet has since been revamped on a grand scale. Since 1964, the Corvette was called "Sting Ray" and was finally considered mature. Even today, the Corvette is considered America's very own sports car. Our Sting Ray is a convertible with a hardtop. The sports car has been extensively restored and received the stronger 350 cid V8 engine. The four-speed gearshift with "Hurst Shifter", the exhaust fan brummer and the "Knock-off" aluminum wheels with central lock make the appeal of this classic car. Correct parts were a key focus of the restoration. The original but outdated radio and the mechanical clock with electric wind up are result of that focus. 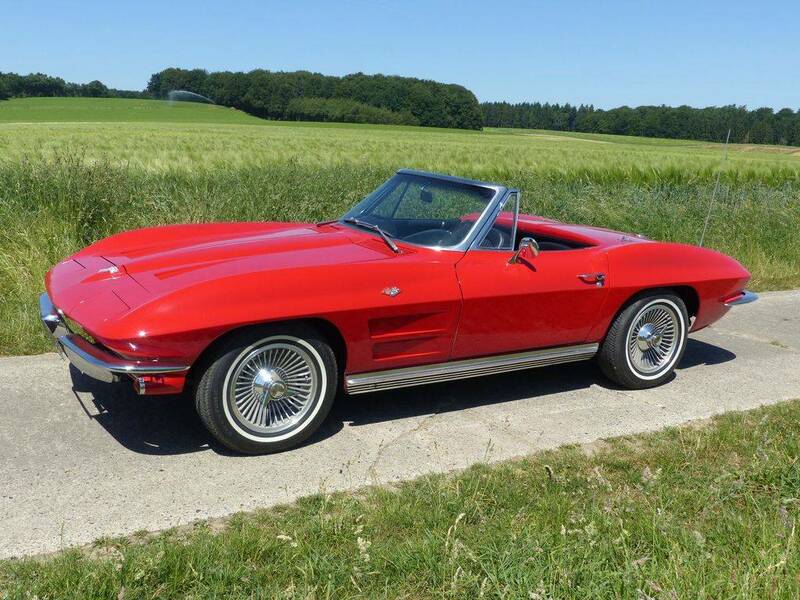 A current valuation report is available and the Corvette is approved in Germany.